The North Magnetic Pole is also called the blue pole. It lies in North Canada and the South Magnetic Pole, the opposite pole, lies in the ocean south of Australia. 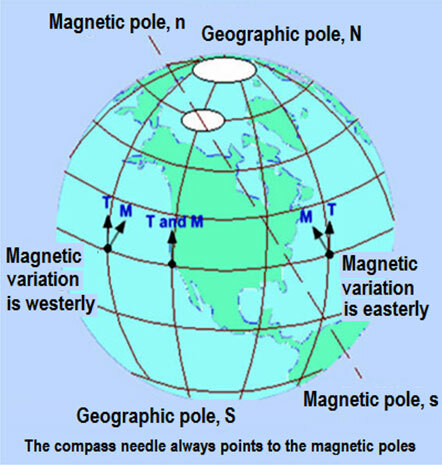 Magnetic needles, which are not affected by local magnetic fields, always point to the magnetic poles. Magnetic course, also called magnetic bearing, refers to the magnetic poles. The angle between magnetic course and true course is called magnetic variation. The magnetic variation by Iceland is westerly and negative. 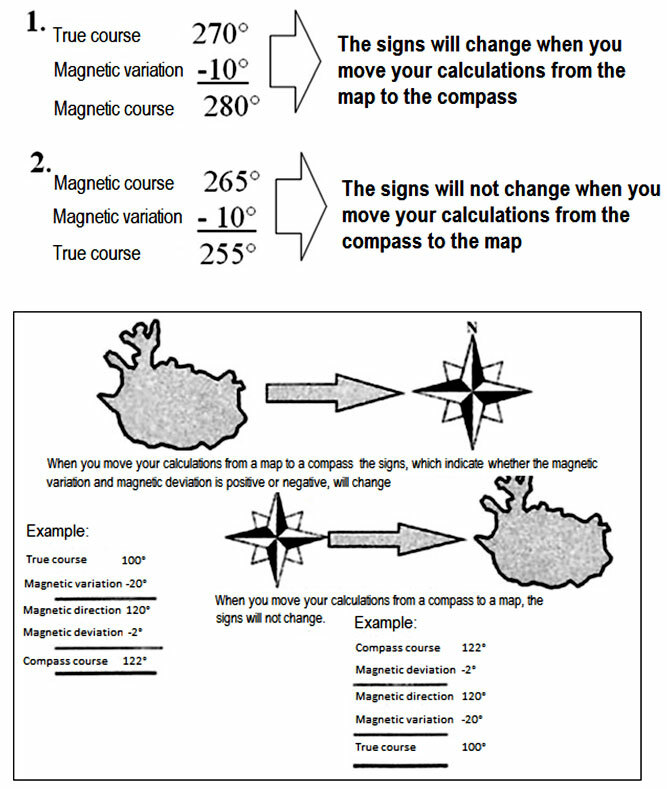 When you move your calculations from the map to the compass the signs of magnetic variation changes, that is minus becomes plus, but when you move your calculations from the compass to the map it is the opposite, that is plus becomes minus.